On the heels of yesterday's leak, Warner Bros. Interactive Entertainment and DC Entertainment today announced Injustice 2, the sequel to the hit game Injustice: Gods Among Us from 2013. NetherRealm Studios provides a huge roster of DC Super Heroes and Super-Villains and allows players to build and power up the ultimate version of their favorite DC characters. Injustice 2 will be available for the PlayStation 4 and Xbox One in 2017. Details are still scarce but from the epic trailer, characters include Batman, Superman, Supergirl, Aquaman, as well as newcomers Red Lantern Atrocitus and Gorilla Grodd. NetherRealm creative director Ed Boon spoke with Rolling Stone and had this to say about the scalability of the characters. Every character in Injustice 2 will have "a vast, vast array of what we're calling gear" – costume pieces and equipment that are used to upgrade your abilities – according to Boon. The superhero you start controlling at the beginning of the game won't have the same skills as the one you end with. Players will determine whether they want more speed, more health, more strength, and the like. "There are thousands and thousands of pieces for, let's say, the Flash," he says. "You are in the constant process of making your version of the Flash." Injustice 2's plot is an extension of the first game where in an alternate universe, Superman will do anything to keep the peace even become an intolerable overlord. The original game surpassed expectations, it not only did well on consoles but it led to a mobile hit and best-selling comic book series. You can probably expect the same for the sequel. Check out the official trailer and press release below. BURBANK, Calif.–(BUSINESS WIRE)–Warner Bros. Interactive Entertainment and DC Entertainment today announced Injustice 2, the super-powered sequel to the hit game Injustice: Gods Among Us. 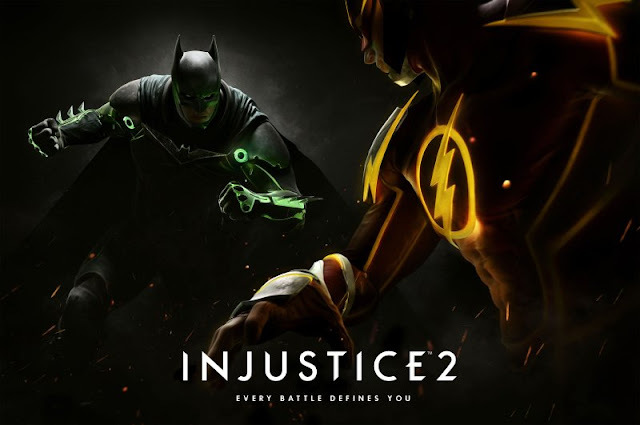 The newest game in development from the award-winning NetherRealm Studios features a massive roster of DC Super Heroes and Super-Villains and allows players to build and power up the ultimate version of their favorite DC characters. Injustice 2 will be available for the PlayStation®4 computer entertainment system and Xbox One in 2017. To celebrate the announcement of Injustice 2, fans who have downloaded the hugely successful Injustice: Gods Among Us mobile game can unlock theInjustice 2 versions of Superman and Aquaman through the in-game Challenge Modes. Released in 2013 and developed from the ground up by NetherRealm Studios, the Injustice: Gods Among Us mobile game is available as a free download on the App Store and Google Play.